Throughout much of the last century, the idea that we inhabit a somehow disenchanted modernity has exerted a powerful hold in political and public debate. As the political theorist Jane Bennett argues, the story is that there was once a time when God acted in human affairs and when social life, characterized by face-to-face relations, was richer; but this world then ‘gave way to forces of scientific and instrumental rationality, secularism, individualism, and the bureaucratic state – all of which, combined, disenchant the world.’ In this story, reason and religion are oppositional forces, the one succeeding the other. If the path to rationality is interpreted as the process of becoming possessed of and determined by one’s own mind, then this is surely fundamentally at odds with the religious desire for obedience to a revelatory divine voice. To some extent, the return of religion to public and political forums of discussion has challenged this narrative. It has been problematized, too, by scholars of religion who have shown that the social worlds we inhabit can be religious, avowedly nonreligious, and secular at the same time, and in myriad configurations. And scholars engaging with contemporary forms of the sacred show that it is not only religion that enchants, but that secular phenomena (commodities, the free market, the nation state, and others) may also take on a sacred significance. Nevertheless, the idea that, as philosopher Gillian Rose puts it, Enlightened rationality is the ‘autonomous adversary of “revealed religion”’ persists. There are several reasons for this, but significant of these is precisely the non-rational attachments that some cultures have to the idea of themselves as rational. In fact, the study of both nonreligious and religious groups shows how reason and rationality are not so much culprits in some process of disenchantment but become themselves objects of enchantment. Through New Atheist discourses, a particular mode of rationalist nonreligious culture has become familiar with, and echoing this, for many non-believers, rationality is central in both their self-understandings and in their understanding of an irrational religious other. Whereas for some nonreligious people, religious others are different in other ways, sometimes negative, but sometimes positive too, rationalist nonreligious cultures conceive of ‘believers’ as ‘stupid’, even ‘insane’ or experiencing a sort of deferment of the intellectual, brought about by suffering and a need for the existential comforts of religion, a Marxist spin on this rationalism that is often kindly meant, but carries with it condescending connotations of mental incapacity. 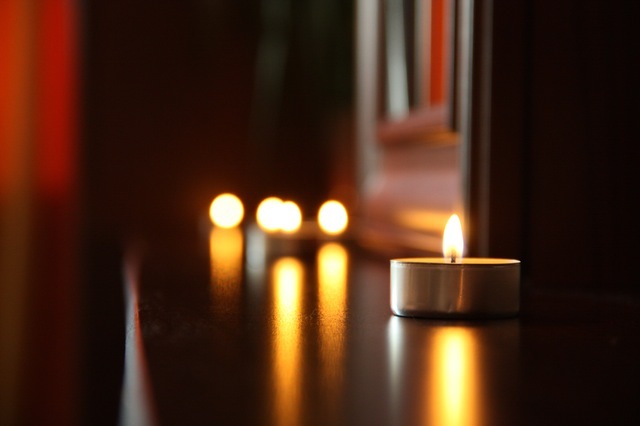 Image credit: Love romantic candlelight. CC0 via Pexels. Somewhat paradoxically, however, we might see these rationalist narratives as themselves becoming enchanted. Rational and scientific knowledge are transcendent: ‘The truth,’ Richard Dawkins’ said on Twitter this week, referring to his new memoir, ‘was true long before humans arrived. And will be after we are extinct. Out out, Brief Candle. Science is the Candle in the Dark.’ Conceived of as knowledge, as truth, the nature of the universe that science and reason reveal is beautiful, a comfort – a candle in the dark – and transcends human life. And for many people, the achievements of human rationality and science are an enormous source of comfort, hope, and inspiration. It therefore does not follow that vulnerability explains why people turn to religion, for they will find the same emotional, symbolic and social comforts that they might find in religion in nonreligious cultures, too. On the other side of the coin, for all the religious cultures that embrace experience, emotion, community, and romance, there are those for whom rationality and reason are instead central. If nonreligious culture emanating from the US and the UK bears the mark of Protestantism in its understanding of religion as primarily a matter of cognitive belief rather than embodied practice, then it should not be surprising that rationalism is often present too in religious contexts. So, for example, the British conservative evangelicals that Anna studied placed a similar emphasis on reason, and the individuals she worked with articulated a sense that their faith was rational and primarily about belief. For this group, the privileging of rationality is in fact a prominent marker of their culture, and is interwoven with the traditions of the gender and class characteristics of the movement: key twentieth-century leaders of British conservative evangelicalism have been upper middle-class and public-schooled men, something that also resonates with rationalist nonreligious cultures, whose figureheads have likewise tended to be upper middle-class white men of similar Protestant cultural heritage. The rationalism of conservative evangelicals is instructive for thinking beyond the ‘irrational religion / rational nonreligion’ binary in other ways too. So, though the Enlightenment emphasis on rationality is often seen as a turn to the self, yet, for this and some other religious traditions, reason is seen as expressive of a divine order, and the sacred is understood as knowledge about God’s purpose and intentions. Thus, rationalism may involve a turn away from the self and towards other authorities. By this light, we may observe that nonreligious rationalism also orients the individual away from the self, via an attraction towards a coherent order that transcends the individual’s experience of and place in the world. Though the idea that the roots of Enlightenment rationalism can be found in Protestant modernity is a familiar one, it has not managed to unseat the idea that religion reaches emotional and symbolic aspects of life that the secular simply cannot and, by the same token, that the nonreligious and the secular have some kind of privileged access to rationality and reason. The dualisms here reflect the Janus-face of Western modernity and the conceptions of self, knowledge and experience that it promotes – a Kantian, disciplined, rational self, and a sensualist, expressive, affective self. Yet, close study of the place of rationality within religious and nonreligious cultures points to how reason may itself become a source of enchantment, formed through particular emotional and embodied practices, in which forms of power and exclusion inhere – for both the religious and the nonreligious. Anna Strhan is a Lecturer in Religious Studies at the University of Kent. She is the author of Aliens and Strangers? 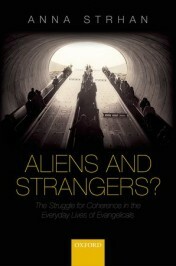 The Struggle for Coherence in the Everyday Lives of Evangelicals (Oxford University Press, 2015). Lois Lee is a Director of the Nonreligion and Secularity Research Network and editor of the journal, Secularism and Nonreligion. Her monograph, Recognizing the Nonreligious: Reimagining Secularity, is published by Oxford University Press (2015). Read Anna and Lois' other post on 'Beyond the 'God Wars'. Read Anna's post on 'Looking for God in the sociology of religion and Game of Thrones'. Scientific discoveries are not creation. It is just discoveries of what the creators has for us! Once Dr. Mur the famous professor of Empriology was lecturing at a Medical school in Saudi Arabia, got surprised when he was informed by students that what he was explaining of new discoveries in fetal development is already existed in the Holy book, Quran! He was Amazed to find this knowledge which was discovered within the past 100 years was in this old book for over 1,400 years! Also, Nasa discovery in the 1998 about the lowest spot on earth was also mentioned in Quran. And lot more! Here you do not see contradiction between scientific discoveries and the creator God! On fact, these discoveries bring religious people closer to God versus the others who think they found reasons to reject him! In fact, the creator is the one decide when his things can get discovered. He allows that according his wisdom for our benefits!